Education: I received my Bachelor of Science degree in Biology from Southern Connecticut State University in New Haven, Connecticut, followed by a Master of Science degree in Cell and Molecular Biology from the University of Connecticut, and then my Doctor of Medicine degree from Drexel University College of Medicine in Philadelphia, Pennsylvania. I completed my residency training in Physical Medicine and Rehabilitation at the New York-Presbyterian Hospital of Columbia & Cornell in Manhattan, which included training at the Memorial Sloan Kettering Cancer Center as well as at the Hospital for Special Surgery. Following this, I obtained a fellowship in Spine & Sports Medicine at the Rehabilitation Institute of Chicago/Northwestern-McGaw School of Medicine. Professional Journey: After completing my fellowship I became the Head Spine Physiatrist (fiz-eye-a-trist) of the Yale New Haven Spine Center in Connecticut where I treated patients who were in need of either epidural (spine) or various tendon/joint injections. In addition to treating patients, I took on the lead physician role in developing a standardized physical therapy model for Yale’s Center for Musculoskeletal Care. I am double board certified by the American Academy of Physical Medicine and Rehabilitation, in both Physiatry (PM&R) as well as in Sports Medicine. I am also a musculoskeletal ultrasound instructor with the World Academy of Pain Medicine Ultrasonography (WAPMU). Ultrasound is a wonderful tool that helps me identify and treat my patients’ areas of pain and dysfunction by optimizing the delivery of Regenerative Cellular treatments, Nerve Release Injection Therapy (NRIT) and Prolotherapy. 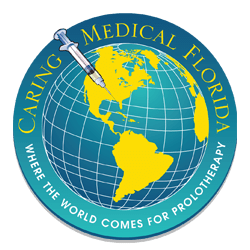 Comprehensive Prolotherapy Practitioner: After working in the field of Physical Medicine and Rehabilitation using more traditional approaches, I discovered the Regenerative Medicine field and began to incorporate it into my practice. I have attended a number of scientific professional seminars in the field of Regenerative Medicine and have also trained extensively with Dr. Hauser to learn all aspects of Comprehensive dextrose Prolotherapy, including Cellular (PRP and Stem Cell) Prolotherapy. I enjoy being a vital member of the Caring Medical team working with some of the greatest minds of Regenerative Medicine. The Power of Regenerative Medicine: I have been around medicine my entire life, having two physician parents. I have seen the good, the bad, and the ugly. I am passionate about helping my patients get back to doing all that they want to do! My education in Physical Medicine, Sports Medicine, and personal training in combination with Regenerative Medicine gives me a wide range of treatment modalities and rehabilitation regimes to provide optimal care to my patients at Caring Medical. These amazingly restorative treatment modalities enable my patients to return to the active lifestyles they desire without prolonged use of narcotic pain prescriptions and/or having to undergo unnecessary surgeries. 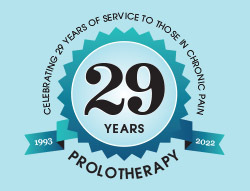 I am more and more convinced about the healing power of Prolotherapy every day! 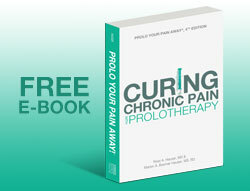 Prolotherapy is all about the restoration of joints! We address and reverse the joint instability that is often the underlying cause of the pain or injury. Dextrose Prolotherapy alone is highly successful and our office has published our results to back this up. Dextrose Prolotherapy may also be combined with autologous cellular therapies for more severe cases, which may include Platelet Rich Plasma (PRP) and/or Stem Cell Prolotherapy. My personal approach: After carefully listening to my patients’ medical histories and concerns, I provide my patients with a thorough physical examination and assessment outlining the specific goals of treatment that will most efficiently achieve healing. At Caring Medical, the healing is 50% us and 50% the patients’ responsibilities. When my patients leave the office, they will leave not only with a thorough treatment to their injured body area(s), but also with a comprehensive care plan that involves a rehabilitation (exercise) program, as well as attention to any other lifestyle factors that may be altering healing. We want our patients to be involved in their care and healing! My practice brings in patients of all ages, from all walks of life, from many areas of not only the United States but from around the world. I utilize musculoskeletal ultrasound as an adjunct to my practice, which is a wonderful tool to assist with diagnosing musculoskeletal injuries, performing injections with direct visualization, and for cases that require Nerve Release Injection Therapy (NRIT). While not all patients require ultrasound guidance for treatments, I find it extremely helpful in many of my cases. Life Outside of Caring Medical: I love exploring all that Chicago-land has to offer including the wonderful lakefront, unique restaurant cuisines, and the myriad of outdoor activities that are available! Maybe I’ll see you out there! Thank you for taking some time to learn a little more about me. I look forward to working together with you to help you regain your health and maximize your healing. Our goal at Caring Medical is to keep our patients active for life! 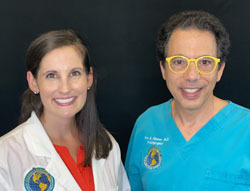 If you have a specific question for me, please feel free to email me at DrWoznica@CaringMedical.com. I look forward to hearing from you!